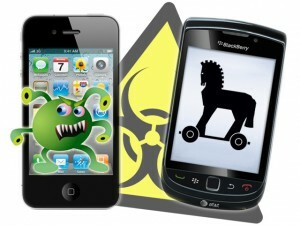 The number of new malware releases slowed during the final three months of 2011, but was higher than expected for the year. Computer and mobile security firm McAfee has warned “no organisation,platform or device” is immune from malware attacks as it released its Q4 2011 Threats Report. Mobile malware hit more than 400 unique samples in Q4, up from over 100 in the third quarter, and less than 50 samples in the first quarter of last year. McAfee also found that PC malware counts declined during Q4, and were lower than in Q4 of 2010. Even so, the total number of unique malware samples is more than 75 million as of Q4, the report says. “On a global basis, we are conducting more of our personal and business transactions through mobile devices, and this is creating new security risks and challenges in how we safeguard our commercial and personal data,” said Vincent Weafer, senior vice-president of McAfee Labs. McAfee Labs recorded an average of 9,300 new bad websites per day in Q4, up from 6,500 in the previous quarter. The vast majority of new malicious sites were hosted in the US, followed by the Netherlands, Canada, South Korea and Germany. McAfee noted that both SQL injection and cross-site scripting attacks were increasingly observed over the quarter, while corporate espionage and hacktivist attacks also look set to climb in 2012. "We saw some advances in cybercrime toolkits, as well as events that may have involved national governments," the company said in its report.